A bizarre little assortment of items have made my wishlist this month. 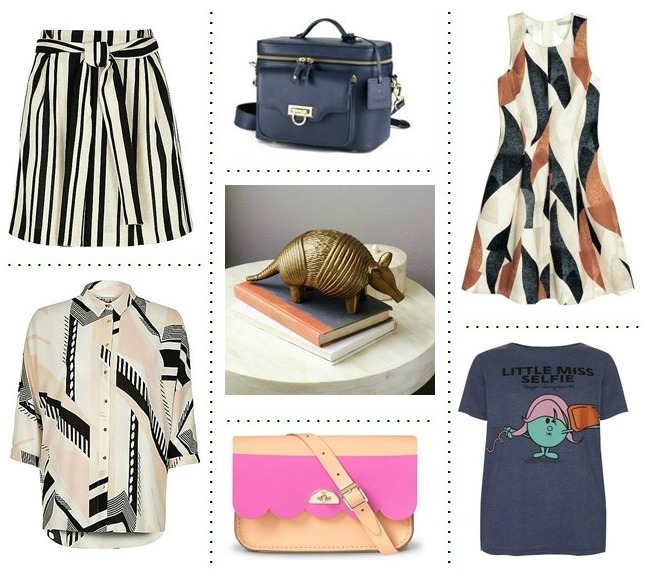 A few new season fashion items, along with an obscure homeware item... a brass armadillo - i was drawn to this as armadillos are my favourite animals and i though this would be so cute in my lounge. My favourite item would have to be the colourblocked satchel, i have been looking at the Cambridge company for a while now, trying to decide which one i would like to get and when i saw this one in the new season collection i knew i had found my bag. The gorgeous blush/pink colour blocking and scalloped edge make this a thing of beauty..and has 30th birthday pressie written all over it! Adding the skirt and 2 bags to my wish list!